URGENT. PLEASE READ AND SHARE WITH ALL YOU KNOW. TIME IS RUNNING OUT! We don’t exactly know why the Inca Indians of Peru left their incredible hidden city of Machu Picchu in the Andes Mountains of Peru, but less than 24 hours now exist to help bring them back to life through our first of its kind-interactive book for the iPad we endeavor to design, shoot, write and build through a Kickstarter.com campaign you can still make a pledge to and support. With your pledge, we stand a chance of creating a miracle–raising almost $53,000 online in less than 24 hours to support and incredible project that will help bring a Wonder of the Worldto children of all ages around the globe. We need these funds to help send a crew to Peru to do hi-res, digital photography of the site that will be used to visually tell the story of what happened to this lost civilization in South America that was swallowed up into the Peruvian jungle until it was “rediscovered” by American Archaeologist Hiram Bingham in 1911–and he himself raised funds in 1912 to go back and bring evidence of what it was like to share the world through black and white photos and early descriptions. With the book we are building with the iPad, there will be 3-D animations to use and get a better understanding of this historic site that almost 1 million people visit each year from around the world. We will have HD video, an incredible 3-D animated tour so if you never get to go, through our book you will feel like you’ve been there. There will be incredible, breath-taking photography of the site and a historic account of the important aspects of Machu Picchu that you cannot get from just reading a book. All you have to do is go right now to the Kickstarter.com site and make a pledge. If we do not reach the goal by Tuesday 9 a.m. CDT, we will not receive a penny of funding and you will be charged NOTHING. We need your help to encourage everyone you know to also make a miracle happen. 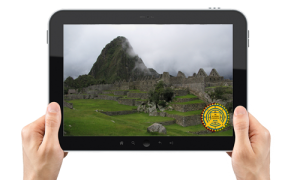 The Inca deserve to have their story shared and preserved through the ages with this incredible technological development and it is not going to happen without your help and those of your social and personal networks. Please, write your friends an email and send them this link and let them know you’re supporting this project and need your help to make this miracle happen. Please. Time is running out. 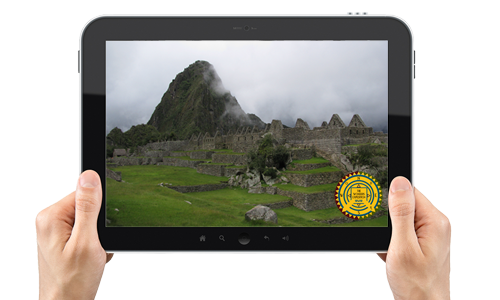 Save the story of the Inca and support our effort. You will get some great rewards for doing so, and know through the course of time you helped a people from long, long ago.